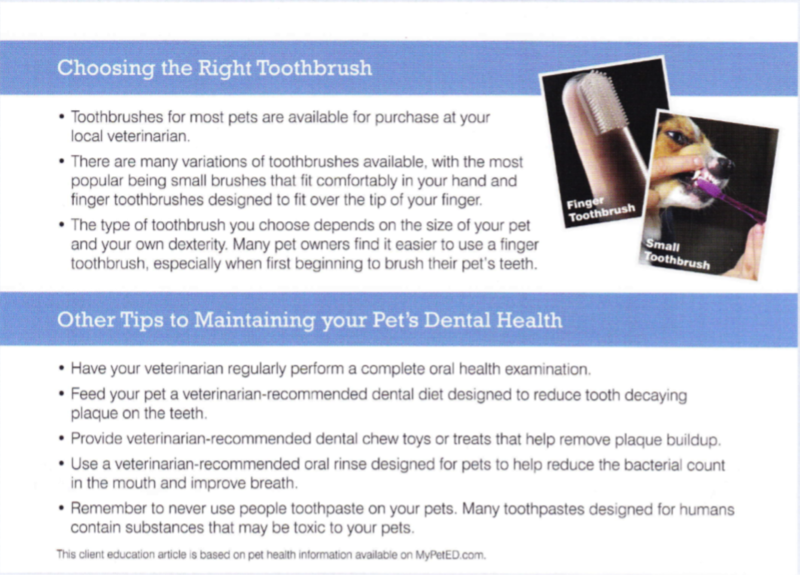 Pet Dentistry- do pets need their teeth brushed? Pet dental care is an essential part of keeping your pet healthy and ensuring a long happy life, 80% of dogs have periodontal disease by the time they turn four. 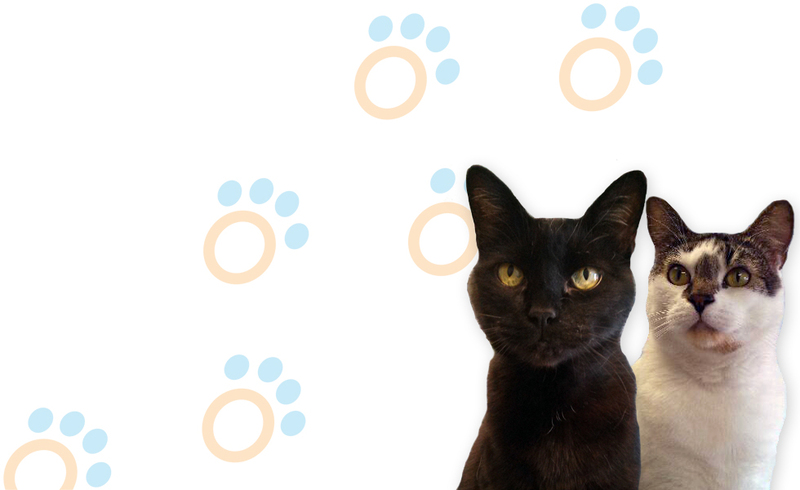 In fact, it is the most commonly diagnosed health problem in cats and dogs! 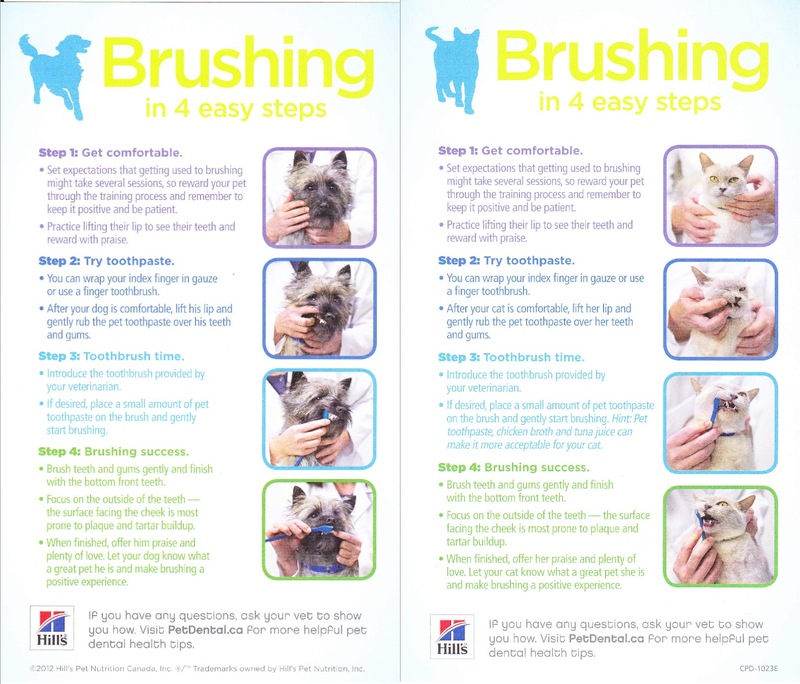 This remarkably common and sometimes life-threatening illness can usually be prevented with good oral hygiene, like brushing your pet’s teeth and feeding them specially designed dental foods. This will not only keep them healthier and happier, but may add years to their life. If daily brushing is just not possible, yearly dentistry is an alternative. Alta Vista’s dental service includes an oral exam, dental cleaning and polishing, and, if necessary, extractions. The exam helps to screen for early signs of gum disease, and the doctor can point out areas that may require special care, just like your own dentist. • Know the warning signs! Some signs that your pet may have periodontal disease: drooling, difficulty eating, foul odour coming from the mouth. • Infections in the mouth can spread to other parts of the body, putting your pet’s life at risk. 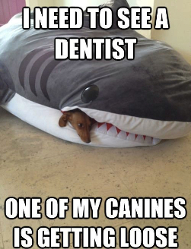 Prevention is the best way to ensure your pet is not at risk for periodontal disease. It is best to start when your pet is young so that dental care becomes part of their daily routine. Brushing your pet’s teeth daily, feeding dental specific food, and treats such as rawhides or oral chews can all help minimize the built up of plaque and tartar. You can find various dental supplies at our clinic, from brushes to special treats that help maintain good oral care. 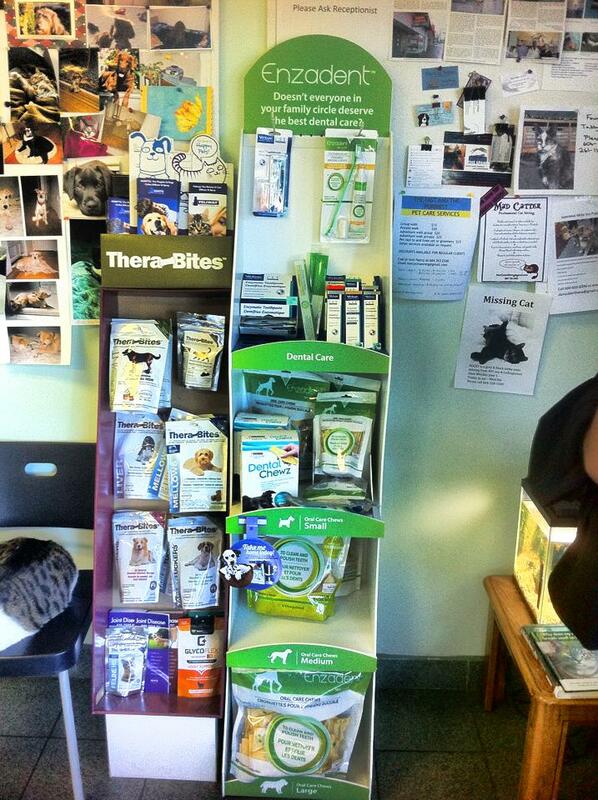 We’ve got an assortment of Thera-Bites dental treats as well as a dental care line from Enzadent.